On the Pet Health Network, we talk about this a lot (and you can learn more by clicking here). Whether your dog or cat is old or young, healthy or sick, fat or skinny, small or tall, regular checkups and blood work allow your veterinarian to do a thorough job to keep your pet healthy. 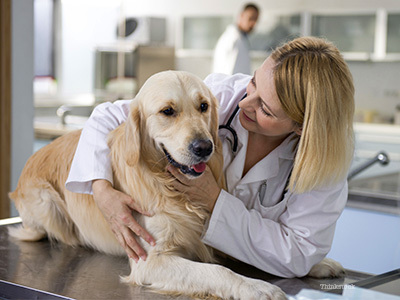 When your veterinarian is able to establish a baseline laboratory values for your pet – what’s normal in your pet when he or she is healthy – it’s easier for your veterinarian to give your pet great care. With a thorough medical history, your veterinarian can detect subtle changes in your pet’s health and will be able to catch and treat illnesses early when it they are most treatable. Performing blood work and establishing baselines are beneficial to your pet in other ways, too. When your pet needs surgery, your veterinarian will always perform a physical exam, but you’ll also have the option to have preanesthetic blood work done to ensure your furry friend is healthy enough to undergo anesthesia and surgery. You never know – your otherwise healthy pup may have an unknown condition that prevents his blood from clotting, or a heart issue, or some other disorder that increase the risk of complications from anesthesia and surgery. There’s a lot involved when your dog or cat is set to undergo anesthesia. To learn more, be sure to read up on what to expect when your pet needs to go under. It’s likely that preanesthetic testing will cost you a little extra, but it can save your pet’s life and reduce the risk of anesthetic and surgical complications. In the end, it’s all about peace of mind and ensuring the future health of your pet. If you aren’t able to easily afford preanesthetic blood work, talk with your veterinarian about a payment plan that is more convenient for you. Most pets will receive anesthesia at least once in their lifetimes. Many pets undergo anesthesia early in life as part of spaying and neutering procedures. Preanesthetic testing differs based on the age and breed of your pet. You veterinarian will screen for conditions specific to certain breeds or to pets at certain life stages. Additional tests, such as an ECG, may be added on an individual basis, and your veterinarian will recommend the right thing for your best friend. If you have any additional concerns about your pet going under the knife, be sure to let your veterinarian know. He or she is the best resource when it comes to explaining procedures and practices necessary in keeping your pet healthy and happy.